Tajae Sharpe drafted by the Tennessee Titans in the 5th round. Story from the official Titans site. Read my comment below about yesterday's events and then consider RotoWorld thinks Sharpe played in the FCS. 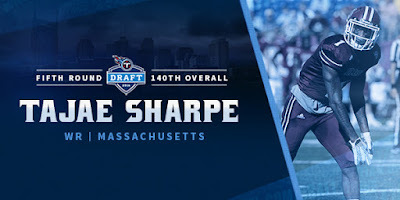 Titians Online says Sharpe is out to prove himself in the NFL. NJ.com reports the Titans take a Piscataway alum. Dan Malone reports Sharpe thinks catching passes from Marcus Mariota "sounds great". ESPN says the Titans add a tall, productive receiver. Draft report by Mike Tanier of Bleacher Report"
Matty Vautour has a post about the Titans drafting Sharpe. Underdog Dynasty has a short article about Sharpe going to Tennessee. 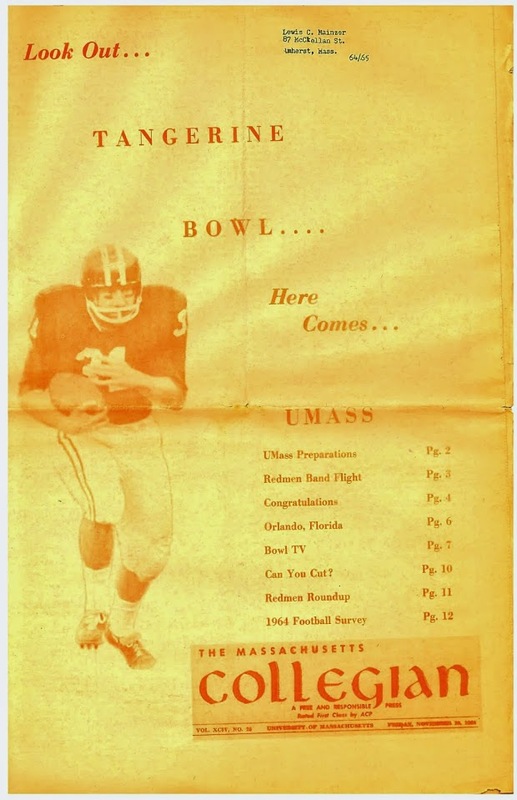 It would be nice if the faculty senate got off their hobby horse about UMass football. Even though the motion was roundly defeated, this annual dog-and-pony show can't help UMass athletics. As I scan through the Google news-sphere I find numerous press factoids about "UMass is thinking about..." when no one was and the motion wasn't binding anyway. None of those sports news bites will be corrected either. Let's hope we don't have to go through this every year. Not surprisingly, there are not a lot of directly related UMass football items on the intertubes today except for the topic mentioned above. 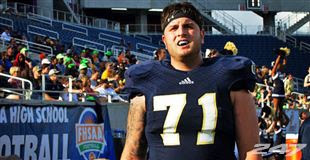 FIU taps into South Florida talent to build program. The press keeps confusing Mississippi State with Ole Miss. Old Dominion rejects a proposal for a privately funded 25,000 seat stadium. The Troy Trojans coaching staff including Neal Brown make a dance video and it's not pretty. The latest version of the 2016 roster has Pat O'Reilly, a 6-3 185 pound WR from Franklin, MA on the roster. O'Reilly's Twitter feed says he had a successful tryout as a walk-on. Well the anti-football faction of the facility got blown out of the water yesterday. Also worth reading is Chancellor Subbaswamy's letter to the faculity. Dan Malone has some interesting stuff on his Twitter feed. The anti-football people said some offensive stuff, such as "football players were more likely to be criminals". Matty Vautour's Twitter also covers some of the debate comments. Matty Vautour also covers the meeting. Dan Malone has a post on Tajae Sharpe being ranked #136th on Mel Kiper's NFL Draft board. Hustle Belt has Willie Beavers (Western Michigan) and Tajae Sharpe as the top of the MAC prospects. The first round of the draft is in the books. The NCAA rescinds its ban on satellite recruiting camps. That's good news for UMass and other Group-of-five leagues. HS basketball player didn't know he was 29. Several recruiting services indicate UMass has offered to Jylton Tusha, a 6-5 305 pound OL from University Christian HS in Jacksonville, FL. Tusha has offers from Cincinnati, Coastal Carolina, FAU, North Texas and Southern Mississippi. Coach Whipple's message to the Gridiron Club. He says the team had 42 members with a 3.0 in the Fall semester and will probably better that this Spring. Joe Colton, Blake Frohnapfel and Matt Sparks are members of the 2016 National Football Foundation Hampshire Honor Society. Matty Vautour has a post on Tajae Sharpe getting ready for the NFL Draft. Inside Nova reports Blake Frohnapfel is going into the NFL Draft with an open mind. Liam Coan wants the Maine Black Bears offense to be physical and explosive. Former UMass player and coach Robert Talley is leaving Stonehill for a position with Cal State Chico. Max Page and his merry minions are back with the facility senate meeting to reduce or eliminate football. This is the type of story the media loves, not the 40+ team members making the Dean's list. NBC Sports on the facility senate's meeting. There are several other stories, but I'm not going to link to them. Matt Sparks is honored at Commencement. UMass Media and Relations press release about Sparks and other UMass students honored at Commencement. Matty Vautour has a story about Blake Frohnapfel as he awaits the NFL draft. Fredericksburg.com also has a post about Frohnapfel's chances in the draft. Lot's of quotes from Coach Whipple. WEEI.com has five New England prospects for the 2016 NFL Draft, which includes Tajae Sharpe. The UMass Daily Collegian has an interview with UMass A.D. Ryan Bamford about his first year at the helm of Minutmen sports. Victor Cruz says his body feels great. USA Today reports Cruz took a small step back at the Giants mini-camp. Newsday says Cruz thinks he won't have any more setbacks. The Orlando Sentinel previews 2016 opponent Hawaii. I blogged yesterday that Frank Darby, a three-start WR had decommitted from Iowa. 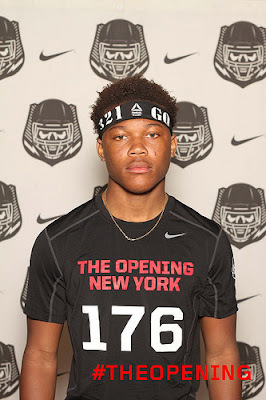 NJ.com reports Darby will take a visit to Rutgers. UConn and Temple coaches have been in touch. Several news sources report E.J. 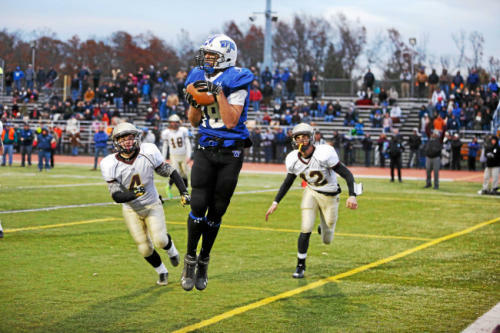 Perry, a 6-2 190 pound QB from Andover has signed with Boston College. BC Interruption has a post on Perry signing with the Eagles. Perry held offers from UMass and Ohio. Victor Cruz and his foundation supports S.T.E.M. education for kids. James Ihedigbo talks about his real estate holdings in Houston. Pro Players Insider thinks Tajae Sharpe would be a good fit with the Carolina Panthers. Hustle Belt looks at potential MAC players in the 2016 NFL draft (includes Tajae Sharpe). A Salt Lake Tribune sports writer forecasts BYU going 6 -6 in 2016 with a win over UMass. BYU releases its post-Spring depth chart. South Carolina fires the team chaplain. I've blogged about Frank Darby, a 6-2 200 pound WR from Lincoln HS in New Jersey three times before. Darby, one of New Jersey's top recruits, recently decommitted from Iowa. Darby was Hudson League Player-of-the-Year. 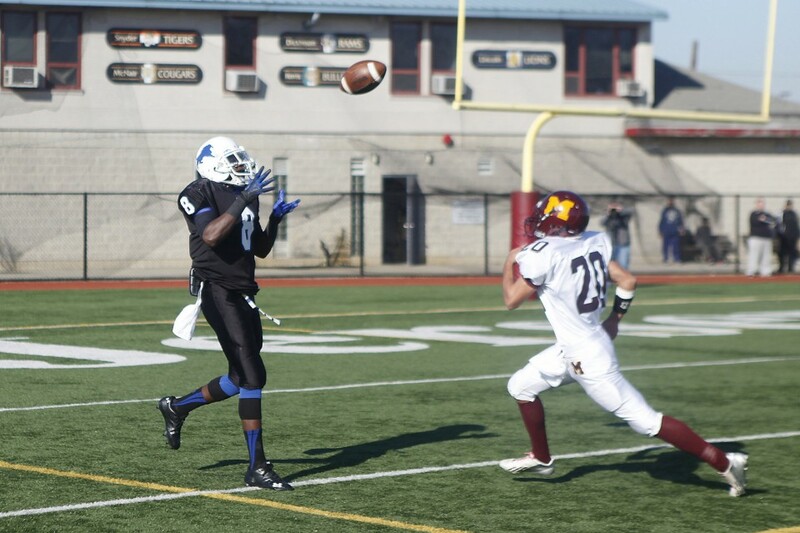 Darby had offers from UMass, Syracuse, Buffalo and Pitt from the Northeast. Duke adds former UMass player and coach Ben Albert as defensive line coach. Today's Pigskin has a seven round NY Giants mock draft. Says scouts were buzzing about Tajae Sharpe in the East-West Shrine game. The Winnipeg Blue Bombers sign Julian Talley. The PAC-12 representative voted the wrong way on satellite recruiting camps. BYU adds a 6-10 defensive lineman. "and figures to be a valuable member of the Cougars’ field goal block team." A group of men insult a guy about his Florida Gators shirt and that leads to a car chase and a drive by shooting. UMass has added a trio of preferred walk-ons to their 2016 roster. ESPN Boston has an article on the trio's joining UMass. I've blogged about 6-0 220 pound kicker Randy Alay a couple of times before. In my previous blog posts I don't think I linked to this November 2015 article featuring Alay. “I haven’t seen any stronger a leg in high school in the state,” said former Bucknell University kicker Todd Krutchkoff, who has been Alay’s kicking coach the past four years. “He is the first kicker I’ve ever tutored and he really set the bar high. I can’t imagine there are many kickers in the state that can kick the ball out of the back of the end zone like him. Cole Morrison is a 6-4 225 pound TE/DE from Waconah Regional in Dalton, MA. This article from the Berkshire Eagle features Morrison's signing with the Minutemen. "In his career, Morrison caught 34 passes for 491 yards and 10 touchdowns. 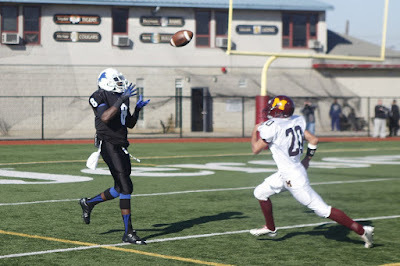 He was a standout defensively and was All-State at defensive end for ESPNBoston.com. 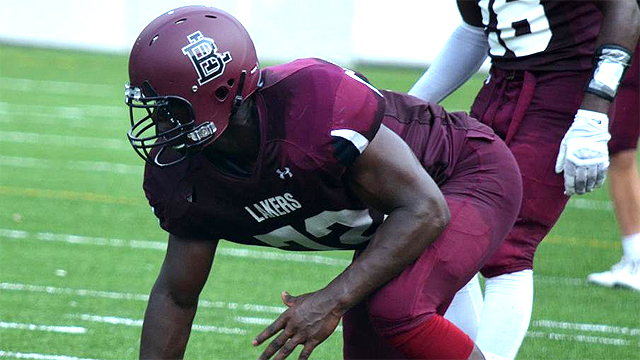 He had 113 tackles and 11 sacks at defensive end." This article from January 2016 covers his signing with UMass. Georgia has added Murray State to its 2018 schedule. Note that the FCS Racers will receive $500,000 for their trip to Athens. UMass will receive $1.5 million. The Minutemen will have to add another team to fill a 12-game schedule. If they are going to get a Northeast FCS team, October 13th would probably be only date someone would be available. That would preclude an off week for the 2016 schedule. SB Nation has a post on dream series if more college football teams had linked hoops series a la UMass' recent signings with Georgia and South Carolina. A Rant Sports San Diego Chargers writer picks Tajae Sharpe in the sixth round of a mock draft. Detroit Sports says Blake Frohnapfel could be one of the QB's the Lions would be interested in. 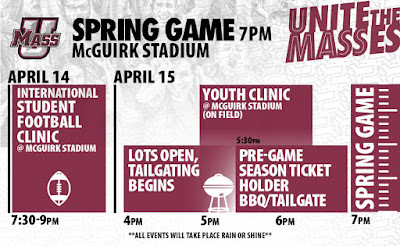 The UMass website has a "Sights and Sounds of the Spring Game" video. USA Today features UMass A.D. Ryan Bamford on a story about the inventive way schools are scheduling games. Bamford knows what he's doin', my friends. Nice to have UMass on the cutting edge instead of behind the curve. The Minutemen set up a similar deal with Georgia; they announced this week they’ll play a football game at Sanford Stadium in 2018, and the two men’s basketball teams will play a home-and-home series during 2017-18 and 2018-19"
A Fantasy Football writer has Tajae Sharpe as #16 WR in the NFL Draft. A Vikings page has Sharpe among "Day Three Dandies"
A Milwaukee paper looks at how scouts' opinions of players (in this case quarterbacks) fluctuate. Despite all the money and "analysis", it's a crap shoot how a player will adjust to Pro Football. Every time a player goes up a level, it's a different game with different rules and challenges. The prototypical example is Pats QB Tom Brady, who had just about the worst Combine numbers in the history of the event, and didn't set the world on fire at Michigan either. The Orlando Sentinel previews 2016 opponent Tulane. The New Orleans Advocate says Tulane thinks they can run the ball this year. 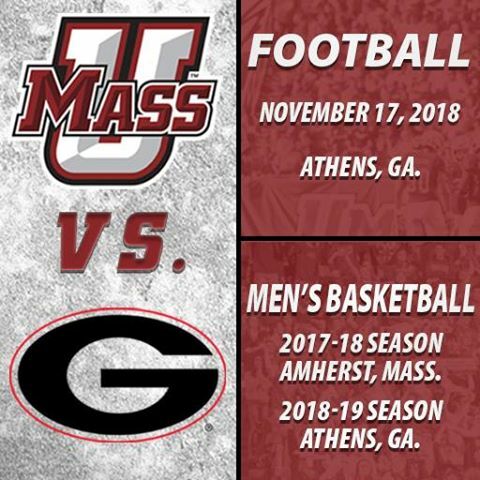 UMass announces football and basketball games with Georgia. Dan Malone has a post on the agreement. Matty Vautour reports the Minutemen will receive $1.5 million for the visit. This will be a great place to visit for UMass fans. Georgia fans are known for their tailgating. Then there's Uga, recently named the college football's best mascot. Doug Kyed of NESN has a post about Tajae Sharpe. He says Sharpe didn't do well at the NFL combine or in Senior Bowl practices. That's not what I heard. Roto Sports has Sharpe #16 in WR NFL Draft picks. The Washington Post says Sharpe performed well at the East-West Shrine game and the Senior Bowl. This article from NJ.com features Dimukeje. Dimukeje is also the focus of this article. 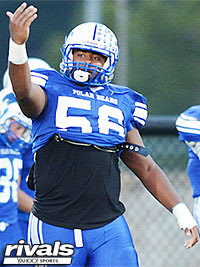 He holds almost twenty offers including BC and Temple from the Northeast. Coach Michaels is the latest "Made in Massachusetts" video. Coach Michaels is the special teams coordinator and OLB coach. The OLB postion should have more talent and depth this year. Downey and Ngobidi will probably be listed as the "1's". Lowery and Flanagan should be in the rotation. James Ihedigbo is an inspiring guy to be around. Wonder if he'd be interested in coaching after his NFL career. In some bulletin-board material, the Orlando Sentinel has UMass #128 (dead last) in it's 2016 preview. I don't know where they're getting that. During 2016 opponent Tulane's Spring Game, defense ruled the field. The local paper has six takeaways from the Green Wave's Spring game. 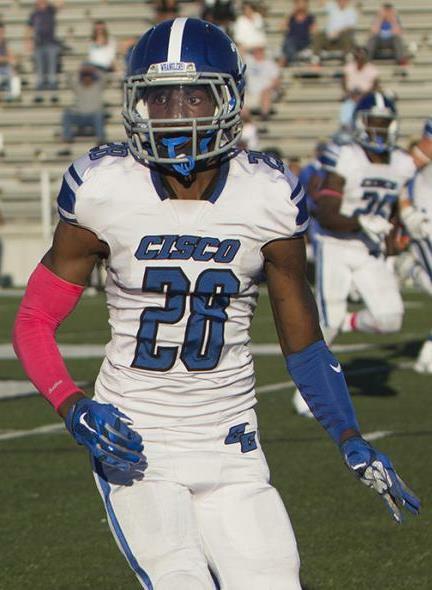 Several recruiting services indicate UMass has offered to Broderick Thomas, a 6-1 180 pound DB from Cisco Junior College in Texas. A Texas Tech recruiting site has some background on Thomas. Besides UMass, Thomas has offers from Texas Tech and UAB in FBS. Marquis Young was the UMass male athlete Newcomer of the Year. One thing I forgot to mention about the Spring Game: Austin Whipple DNP and I didn't see him on the field. Hustle Belt looks at Blake Frohnapfel's prospects in the NFL draft. Steelers Depot looks at Notre Dame CB Keivarae Russell. It features a number of video clip matchups with Tajae Sharpe. Bill Belicheick thinks the Pats should take a QB in the NFL draft. Mentions Blake Frohnapfel. NJ.com explains the Spring college recruit evaluation period. The battle for and against the ban on satellite recruiting camps continues. The MAC BTW, voted against the ban. 2016 opponent Louisiana Tech gets two games moved to TV prime time. The Bulldogs have the effective offense UMass fans would like to see in Amherst. The Maroon & White game produced nine points. Louisiana Tech scored 111 points in their Spring Game. Michael Traini, writing for Underdog Dynasty has a write-up on the Spring Game. Dan Malone has a post about James Ihedigbo's return to Amherst as honorary Captain of the White Team during the Spring Game. I put together some images from the Spring Game in a Picasa Web album. Nothing special, but it gives you the flavor of the game if you weren't able to attend. The link is here. I also added the link in the "2016 UMass images" section in the blog sidebar. Sporting News has the top 13 sleeper NFL picks from the Group-of-Five schools. It includes Blake Frohnapfel and Tajae Sharpe. The Maroon and White Spring game features slightly more scoring than did the Boston College's game. I got patted down by security entering McGuirk Friday. The Florida Gators are also going to a strict carry-in policy. The NCAA now allows unlimited texting between prospective recruits and coaches. Fellow independent and 2016 opponent BYU has a quarterback controversy. I attended the annual meeting of the Gridiron Club and the Spring game yesterday. First, executive committee of the Gridiron Club meets in the morning, but the afternoon session is open to all Gridiron club members. Coach Whipple spoke about his plans for making UMass football a winner and how the Gridiron Club helps. The club's website has been completely redone and will be expanded more in the future. They're hoping to have members-only content. The club wants to do more outreach and more activities. This year the Club members got to eat with the team during the pregame meal. Some of the funds raised by the club could be used for recruiting expenses such a funding the airplane tickets for recruits visiting on the various recruiting days. Whipple wants to increase UMass' presence in California and Texas and other recruiting hotbeds. L.A. Love says they want to have a goal of doubling the current membership. Join now! In addition, Whipple said they were trying to fund a full time recruiting coordinator. Whipple said he felt that would be more effective than having one of the coaches being recruiting coordinator (in addition to the coach's other duties) with interns helping. Former recruiting coordinator Spencer Whipple is now passing game coordinator and WR's coach. In football news, Whipple said they had a pretty good Spring practice. Two players including Hawaii transfer Darrian Josey and one other player whose name I did not catch, suffered injuries that will keep them out of the 2016 season. Whip said they had only hit once before the Spring game. 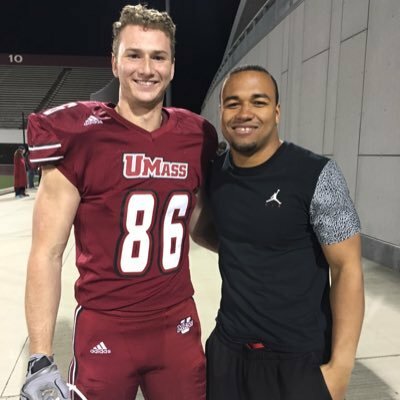 He also said with Sekai Lindsay still being limited, UMass only had one scholarship RB (Marquis Young) available for Spring game. As for the game itself, with the team split into two squads, it kinda slowed both the offense and defensive down some. But if you think about it, it was good news. This year the Minutemen actually have enough players to have two complete squads. Dan Malone has images from the game. He also has an extensive re-cap of the game here. Matty Vautour has a post about the game. He also has a story about James Ihedigbo's first win as a coach (and a Gator-Aid bath). The UMass Daily Collegian has two articles on the game here and here. Click on any image and Blogger displays a larger view. The students partied in the Yellow lot. The fans showed up the watch the game. The biggest revelation in my eyes was Randall West. He had been the mystery man as no one had ever seen him play. He was still wearing a knee brace, but I thought he was the best QB on the field last night. He threw a tight, accurate ball and looked poised. I think the press thought so too. The UMass WR's had a lot of drops. They missed at least five or six. John Robinson-Woodget ran well between the tackles. RSFR Brandon Mangram looked like a player in the defensive secondary. I also got to talk with UMass strength coach Joe Connolly. I was sitting on the tailgate of my truck prior to the game and 2016 TE recruit Taylor Edwards came over to say hello. The only other excitement was I had to dodge a moose on RT 202 on the way back home. I've been to Newfoundland and upper Maine. This moose was one of the biggest I've ever seen. It was just huge. 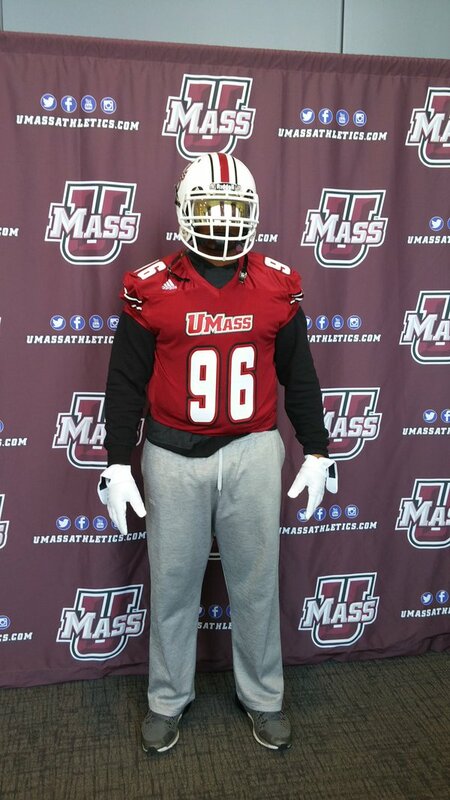 Several recruiting services indicate UMass has offered to Darius Stills, 6-3 265 pound DE from Fairmonth, WV. Visited UMass' recent Junior day. Second-team USA Today All-West Virginia. Stills also has an offer from Kent State. Spring Game day! I'll be going down to Amherst to take part in the Gridiron Club activities and the evening game. Hope to see a bunch of Minuteman fans there. Matty Vautour has a post on the Spring Game. He says everyone who is healthy will play. A Fan Side writer thinks the Detroit Lions should be looking at Blake Frohnapfel. The College football title game brought $274 million to Arizona. Underdog Dynasty says the FIU Panthers could be a "sleeping giant". Florida Gator coach Jim McElwain says South Florida is a recruiting hotbed. Mississippi State loses their third-leading WR to a school honor code violation. The latest edition of "Made in Massachusetts" features coach Dawson. He'll have the following DL to work with in 2016. Ali Ali-Musa JU 6-3 270 JUCO 247Sports three-star recruit. Ali Ali-Musa should join the starting rotation right away. One or two of the talented freshman class will play in 2016. ESPN's Football Power Index gives FCS Southern Utah a better chance of upsetting BYU than UMass. The Cougars work to find the best 11 in Spring camp. NFL.com profiles the 2016 fantasy draft. Mentions Tajae Sharpe. NCAA.com says the 2016 college football season starts August 26th or the 27th (depending on which side of the International Dateline you're on as Cal meets Hawaii at ANZ Stadium in Australia. When Mrs Blog and I were in Australia last year, we drove past ANZ Stadium. A Packers mock NFL blogger picks Tajae Sharpe for Green Bay. GridSport.com picks Tajae #14 in available WR's in 2016's draft. Sports Illustrated picks Victor Cruz as their "Best Dressed Athlete". Gators coach Jim McElwain says the Swamp will be loud when UMass comes to town on September 3rd. Florida recently added a $17 million indoor practice facility and a $25 million academic center. One recruit was not impressed. Wagner plays four first-time opponents in 2016. The list includes UMass and BC. The Wagner Seahawks look to improve after an off year. The NCAA delays permission for college coaching staffs to use tablets and laptops during games for another year. 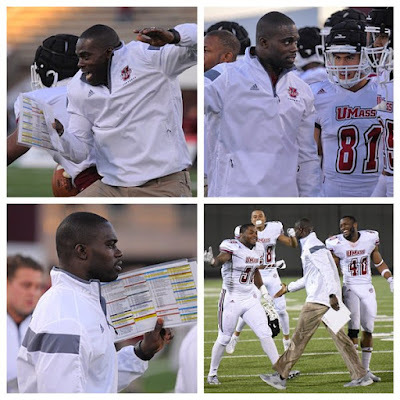 The latest edition of "Made at Massachusetts" features UMass RB coach Darius Smith (good name). Smith will also be coaching a talented Freshman class, at least one of which will not redshirt, IMHO. 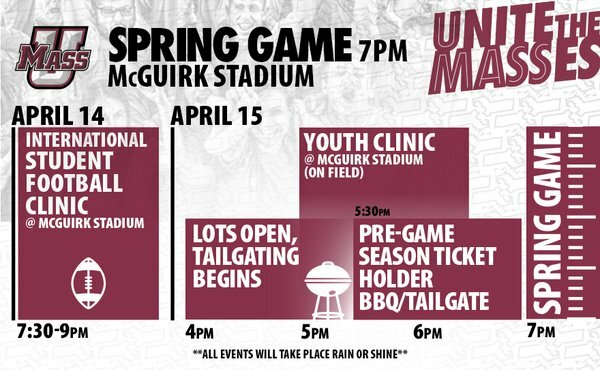 Details on Friday's Spring Game. Note that UMass will live stream the game via UMassAthletics.com. ElevenWarriors.com does a video study of Don Brown's defense. DAn Rubin of BC Interruption gives a video update of the Eagles Spring practice. It looks like the BC-Georgia Tech game in Ireland will be a sell-out. I wonder which team, UMass or BC, will have the biggest second game hangover. The Eagles from their travel fatigue from playing in Ireland, or the Minutemen from being thumped at the Swamp. Old Dominion gets an offer for a privately financed, maintained and managed football stadium. Several recruiting services indicate UMass has offered to Chinedu Ogbonna, a 6-2 200 pound OLB from Wheeler HS in Georgia. Ogbonna, 6'3, 210, has a nice frame and as he adds weight will be a head hunter in his senior season. With great insticts to the ball and good quickness, Ogbonna already brings a lot to the table. He's still got a very long time before he will make his deicision, and for now he just plans to keep working and getting ready for his senior season. "I've been lifting weights and trying to get stronger," he said. "I run track and mostly just focus on school. I have a lot in front of me and I'm excited about the future." Ogbonna has 11 total offers including future UMass opponents Troy, Old Dominion, Tulane (2016) and Tennessee (2017). 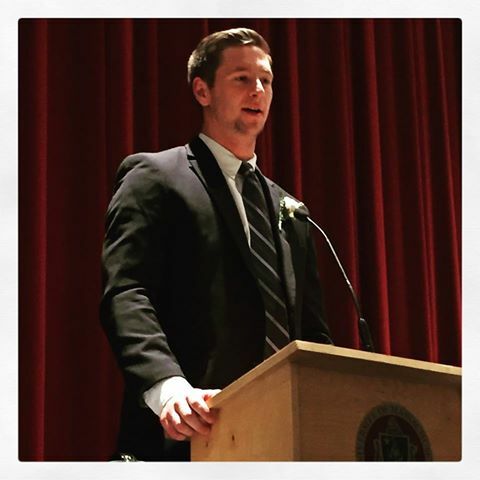 Blake Frohnapfel accepts the Western Mass Chapter of the National Football Foundation's DeOrmand Tuss McLaughry Award. Blake graduated from Marshall in three years; adds double Master's degrees in two while in Amherst. Annie Maroon of MassLive has more images from the event here. Full list of the award winners here. USA Today says the real losers will be under-recruited players. SB Nation reports players aren't happy about the ban. ESPN says Victor Cruz's workout videos don't prove much. Today will be another "Junior Day" for recruiting visits at UMass. 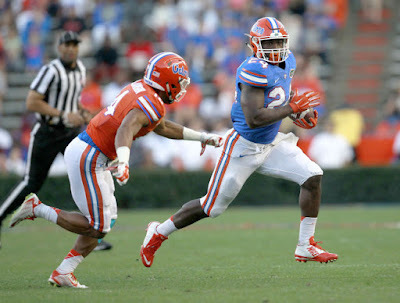 Matty Vautour has "Khary Bailey-Smith returns as the leader in the UMass Secondary"
If you missed the Gators Spring Game, this article covers the high points. Florida has some impressive players. How about 6-2 242 pound JUCO RB Mark Thompson? He's huge. Then there's new kicker Eddie Pineiro. He kicked field goals of 56, 52 and 46 yards. Watch Pineiro kick a 77-yard field goal. USA Today has an article on the NCAA banning satellite recruiting camps. They say the real losers are the players and Group-of-Five teams (like UMass) who are losing an opportunity to recruit and be recruited. Under-the-radar guys are stuff of life for non-Power Five teams. CBS Sports has College Football best traditions. Hawaii's haka and the Gators have a bunch of items on the list. 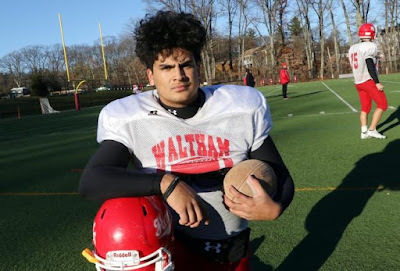 Several recruiting services indicated UMass is interested in Eli Godfrey, a 5-9 160 pound athlete from Haverford School in PA.
Godfrey is drawing interest from a number of FBS schools including Temple and Syracuse in the Northeast. Tajae Sharpe is #24 in this review of NFL wide receivers article. This article looks at WR's the Minnesota Vikings might be interested in. The Tampa Bay Times has the 25 coolest Twitter handles on NFL prospects; Blake Frohnapfel in one of them. The Florida Gators Spring Game is tonight. You can watch it tonight on the SEC network. The SEC Network is available on DirecTV (Ch. 611), DISH Network (Ch. 404 & 408 on the Hopper), AT&T UVerse (Ch. 607/1607) and Verizon FiOS (Ch. 75/575), as well as various cable systems. The Gators are #12 in this preseason QB battle. Jimmie Reid will be running the Boston College defense this year. Spencer Whipple, UMass WR coach and passing game coordinator was miked up for the latest "Made in Massachusetts" episode. 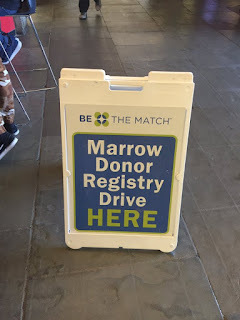 UMass Football and Field Hockey sighed up over 200 people in yesterday's Bone Marrow Registry event. Andrew Cyr of the Daily Collegian reports the changes in the Minutemen's offensive line for Spring Ball. He mentions Fabian Hoeller will be the starting center and Elijah Wilkinson will move to left tackle. Kassan Messaiah is one of a number of New Jersey players who will work out for the NY Giants on Friday. ESPN has a post on which NFL teams will draft a QB this year (mentions Blake Frohnapfel). Gators Country says Florida must do better against higher rated opponents this year. 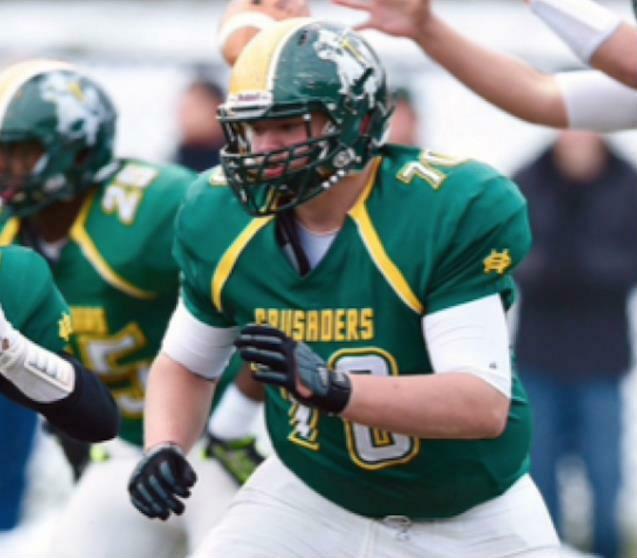 NJ.com reports UMass is recruiting Evan Lovell, a 6-4 315 pound OL from Peddie School in New Jersey. NJ.com article here. The article reports he will visit UMass this Saturday. Being recruited by UMass, UConn, Rutgers, Temple and a number of FCS schools. The UMass Football and Field hockey Bone Marrow drive runs until 2:00 PM. Register! Marquis Young is one of the players nominated for UMass newcommer of the year. Young went 152-960 7 TD's as a true freshman in 2015. Andrew Cyr of the UMass Daily Collegian focuses on Ross Comis's working with returning receivers Shakur Nesmith, Bernard Davis and Jalen Williams in Spring Practice. NFL.com has Blake Frohnapfel as part of their NFL Draft All-Name team. Bleacher Report has Frohnapfel as the #17 QB in the NFL draft pool. Hustle Belt has a NFL Draft report on Tajae Sharpe. NJ.com has a video of Victor Cruz showing off his rehab workout moves. BYU installs a new defensive scheme. 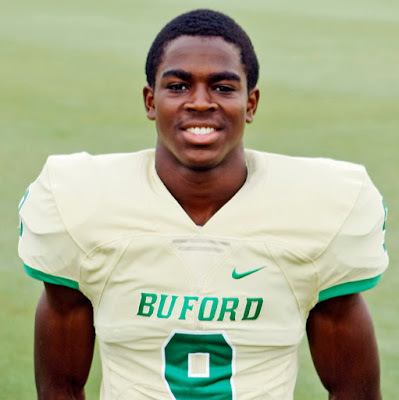 Several recruiting services indicate UMass has offered to Joshua Blackwell, a 5-10 170 pound DB/RB/Athlete from Buford, GA.
Blackwell has 12 FBS offers including Rutgers from the Northeast. 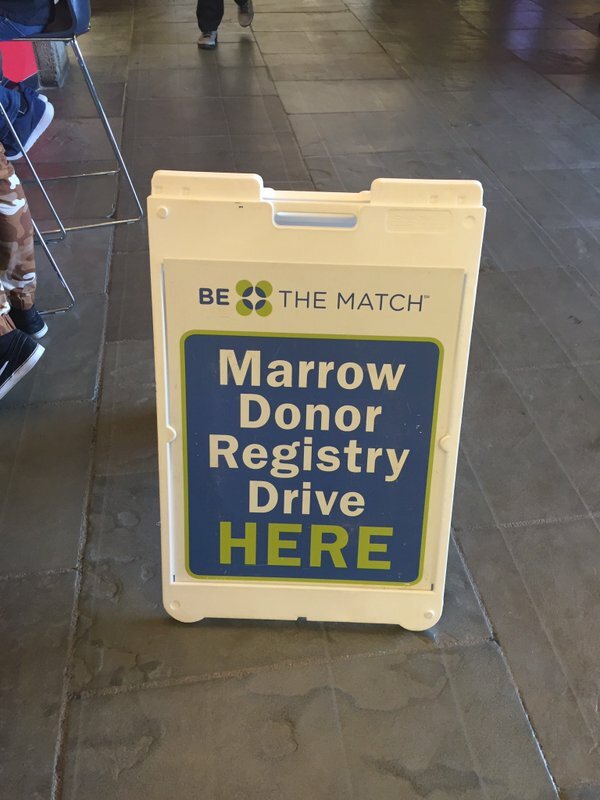 UMass Football and Field Hockey have joined forces for bone marrow registry. Over the years several UMass players have donated bone marrow to persons needing bone marrow transplant due to Leukemia or lymphoma. Old Dominion finished their 2017 schedule by adding Albany. The Monarchs will be the Minutemen's first home game of 2017, visiting McGuirk on September 9th. Former UMass strength coach Mike Golden has been hired at Arkansas Tech. Inspiring story about Lee HS football player Tyler Buratto, who will be attending UMass this fall. Merto.us thinks the Philadelphia Eagles could be interested in Tajae Sharpe. James Ihedigbo's Hope Africa and College Funding 123 team up to provide 32 scholarships for students around the USA. Back on March 18th I blogged about Pat Freiermuth, a 6-5 225 pound TE/LB from North Andover, MA. Turns out new UMass OL coach Mike Foley is Freiermuth's uncle. 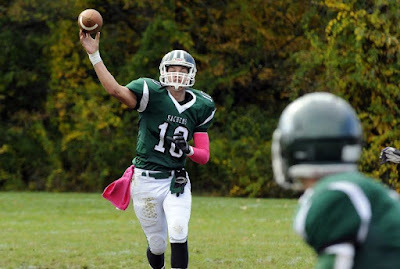 The Boston Herald says it's a show of hands at QB for the Minutemen. Sudbury coach Will Croom promotes Massachusetts HS football players. He's the brother of Jerome Croom, who earned two letters from UMass back in 1987 and 1988. Bleacher Report discusses if the NY Giants should draft a WR with a first-round pick and considers if Victor Cruz can make it back. There's always a lot of pubicity when a college football player gets in trouble. Good deeds get ignored. Three Iowa State players rescue a woman from drowning during Spring Break. A Purdue transfer QB looks to start for the Florida Gators. 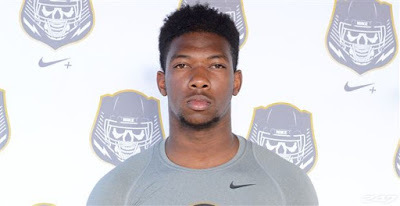 Several recruiting services indicate UMass has offered to Dorian Jones, a 5-10 175 pound DB from Ocoee, FL. This article from May of 2015 features Jones. Besides UMass, Jones holds offers from North Carolina State, Texas San-Antonio and Tulane. This article shows UMass has improved its rushing average three years in a row. One of the interesting facets of this year's team will be to see how UMass can run the ball. With Mike Foley as the new offensive line coach, I would like to see some better run blocking. Being able to run the ball would be a big help during 2016's killer schedule. I looked at some historical data for Whipple's teams. Pretty good correlation between rushing and wining. The Detroit Lions say it's good business to recruit a QB every year (mentions Blake Frohnapfel). Examiner.com looks at potential QB draft picks for the the Minnesota Vikings including Blake Frohnapfel. The NY Giants wonder what Victor Cruz will bring to the table this year. Victor is raffling off signed pairs of his sneakers for Charity.